Top 5 Forex Regulatory Bodies In The World. Forex trading is governed by strict regulatory authorities of different countries on a nation to nation’s basis. Every country has a public regulatory agency that oversees the operation of things in the Forex and financial market. These agencies function as supervisory bodies to ensure that participants comply with local regulations and to license brokers that play according to the prescribed rules. Find out more from our List of FX Brokers by Country. The regulatory authorities are also responsible for re-evaluating the licensed brokers and subjecting them to series of auditing process and review to ensure compliance and operation that meets industry standards. Foreign exchange (FX) trading provides broad profit potentials for traders and investors all over the world. Nevertheless, as much as it comes with a lot of profit potentials, it as well attracts the attention of elements who perpetrate corrupt and dishonest activities. As a result, the FX market is filled with a lot of forex brokers whose aim is to make a profit from carrying out unregulated activities. This has made regulators engage in stricter control throughout the whole forex industry. The impositions of stricter regulation plus savvier traders are making unregulated brokers to get regulated or quit their operations. Thus, the main thing you need to consider as a forex trader when deciding a forex broker to trader under their platform is whether they are licensed and how reputable the organization/s that licensed them are. A broker’s license indicates which Forex regulatory agencies oversee their business activities. Because these licenses are not equally recognized and valued, it is highly significant for new brokers to know how these different regulators differ from one another. We have provided the five best regulatory bodies in this article to help your trading and investment decisions. The United States has the biggest financial market globally, and FX trading is merely one component of it. The US as well imposes the strictest regulations in the forex market. The US over-leveraged FX trading activities are under the control of the US Commodity Futures Trading Commission (CFTC). This agency was created in 1974 to safeguard futures and commodities traders. They as well protect forex traders because futures include the currency market. From the time of creation to the present time, the CFTC has gone through many transformations in a bid to enhance trading conditions and develop an equitable playing ground for all market participants. The strict regulations of the CFTC are generally good for American citizens. It is the government serious effort to safeguard the finances of American traders and investor. They protect traders and investors from fraud, manipulation, and abusive practices. The multiplicity of these regulations and their stringent rules are not always as productive as expected since they force many Americans to stay away from forex trading the way citizens of other countries of the world do. The NFA is the second top organization that oversees regulatory compliance in the US. It is a broad-based industry’s self-enforcement organization developed in 1982 to regulate the US futures market. The NFA operates independent of the government and is a self-financed organization that doesn’t depend on the tax of citizens. The activities of the NFA are monitored by the Commodity Futures Trading Commission (CFTC), which a government agency in charge of the US futures industry. The National Futures Association (NFA) acts as an extension of the CFTC and oversees the strict compliance of forex brokers to financial standards. The National Futures Association (NFA) has recently cut down the maximum leverage for forex trading account from as high as 500:1 or 1000:1 to as low as 50:1 leverage and only open business doors for eligible market participants. No company can operate in the future market without being a NFA member, being screened by the organization and complying with NFA standards and regulations. The imposed rules and regulations increase the integrity of the market and serve as a level playing field for investors and all participants. The US financial regulatory framework is one of the strictest in the world. The laws result in speedier dispute resolutions. The NFA submits digital pictures of fingerprint cards to the FBI to allow for faster background checks and reduce registration times. US regulatory protocol increases transparency in the industry with the requirement of US Forex brokerages to publicly release a collection of information which includes the number of accounts in their database and how profitable their traders are. The US regulatory framework has created a highly regulated and transparent marketplace that prosecutes defaulting brokers. Many foreign players are prevented from entering the US FX trade. Brokerages and individuals without the required NFA and CTFC regulations are prevented from soliciting or approaching US citizens. In line with this, many websites display warnings to US visitors to alert them to the fact that the content of the sites is not for US residents. The strict rules forced some brokers to leave the US market due to lack of sufficient capital to comply with high capital requirements set by the NFA. This restricts US choice of brokerages available to US citizens. US residents secretly open FX/CFD accounts around the globe without reporting the activity to the IRS and contrary to the advice of the NFA. In spite of increased regulations in the European market in the recent times, Europe continues to be the best region in the world that is friendly to forex brokers while at the same time making sure that the traders’ funds are safe. Brokers who have no local regulatory body consequently seek for a license from the European Union given the favorable environment. Apart from the unified regulations that must be met by member countries like those stipulated in MiFID, all the member nations have their respective local regulatory bodies with rules and regulations. The United Kingdom for example adopts and incorporates innovative practices to regulate their local FX industry. The UK’s Financial Conduct Authority (FCA) is charged with the responsibility of regulating, supervising, investigating and enforcing regulations that guide the financial market, which includes the FX industry. MiFID stands for the Markets in Financial Instruments Directive. It has been enforced in the EU since November 2007 but has been tweaked a number of times including the recent MiFID II. The MiFID is a show of the European Union’s commitment to a ‘free market’ for financial services which makes it easy for brokers in one country to conduct business in EU member countries. It also specifies the minimum capital requirements and the mandatory separation of client and company funds to protect traders. MiFID also outlines the minimum capital requirements and the mandatory segregation of client and company funds, a broker regulated in Cyprus can take clients from the UK without obtaining an extra regulatory license in the United Kingdom. The UK makes use of a cost-benefit strategy to formulate its FX regulations. Their principle of innovations favors a feasible structure that is not overly restrictive as those of the US regulators. Starting August 1st 2018 All FCA regulated brokers must comply with new ESMA regulations. The UK opens its door to international operators and traders, enjoys a very competitive market. The UK’s forex market is friendly to offshore operators. The regulatory body developed a government guarantee fund program of a maximum of 50,000 pounds to serve as insurance protection for traders and investors that run into financial trouble while trading the market. The regulation is beneficial to all FX players and stakeholders. The forex market door is open to participants across the world in so far as they have a European license. One major hurdle for the US investor is that spot forex contracts are not qualifying investments under The Financial Services and Markets Act and it is not under the FCA’s Code of Market Conduct. The UK regulation is not as strict as that of the US and it is possible to see a broker that offers leverage of 200:1, for instance. The Swiss financial system is one of the most trusted worldwide. However, the forex industry does not rank the safest in the world as was revealed by the 2009 Crown scenario. The scandal made the Swiss government to authorize the Swiss Federal Banking Commission (SFBC) to verse and regulate the Swiss FX trading. This led to the establishment of the Swiss Financial Market Supervisory Authority (‘FINMA). 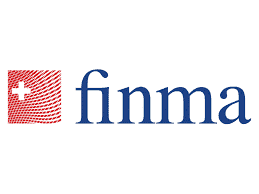 FINMA in Switzerland coordinates closely with regulatory bodies of other countries and function as multiple banks around the globe. 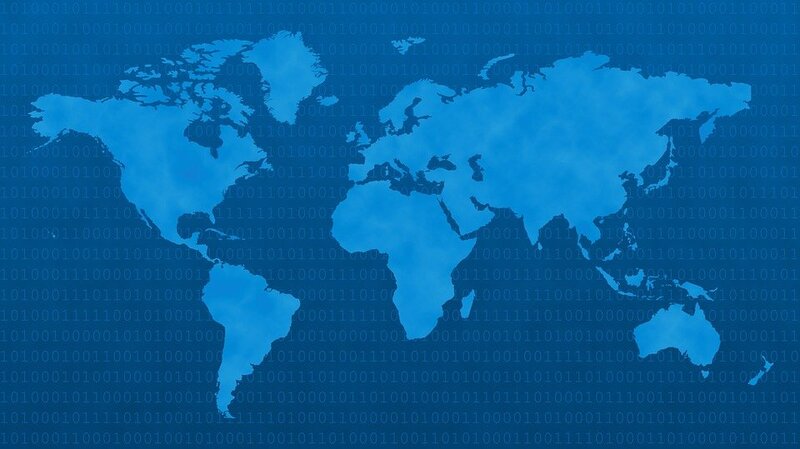 Strict and large amount of credentials is required for a broker to qualify to open an account in the country. The licensing processes must stick to strict banking standards. The stringent regulations close the door for interested brokers and traders who may not meet the requirements. Cyprus continues to be the top destinations for forex brokers in the large financial markets of the Middle East. It serves as a gateway into their gateway into Europe as it makes it easy for brokers to gain their forex regulatory license. Cyprus is a regional forex center and one of the top worldwide destinations for forex. CySEC, the financial regulatory agency of Cyprus functions under the umbrella of the European MiFID regulations. However, it has attracted many foreign forex companies who wish to take advantage of the light regulations existing in the region. It is also for businesses to obtain a license without requiring fulfilling the strict requirements of other European financial regulators. CySEC (Cyprus Securities and Exchange Commission) is the main regulatory bodies. CySEC is a reputable and trustworthy agency and is the preference jurisdictions for a lot of Forex companies. Starting August 1st 2018 All CySec regulated brokers must comply with new ESMA regulations. CySEC operates with due diligence by allowing only qualifying brokers to get their license from the country to operate on the European market. The minimal capital requirements make entering the market easy for brokers. It ensures the safety of clients by tweaking and updating regulations at intervals. Safeguards the account of traders and investors from fraudulent activities. Offer traders capital protection with the EU zone maximum set of $100,000. The regulation in existence is less strict which could create loopholes for criminal elements to enter the market. Efficient financial regulation gives forex traders extra peace of mind. If there were no such regulatory bodies, the scammers in the Fx market would be uncontrollable and a lot of unscrupulous brokers whose only aim is to defraud traders would spring up. However, even with proper regulations, deep-rooted forex brokers occasionally engage in fraudulent activities to scam traders. So, it’s worth cross-examining a broker’s license before registering for a trading account to ensure that your investment remains safe. Trading with forex brokers regulated in any of these five reputable authorities, the CFTC, NFA, FCA, FINMA and CySec ensures the security of your funds. The major benefits of regulatory agencies are that they assist to standardize the way forex traders are treated, ensure fair markets, and safety of their invested fund.